This beautiful women’s purse offers you more than enough slip pockets. 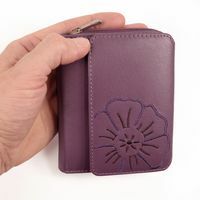 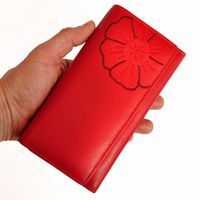 If you always have got to carry a lot of cards with you, this women’s holder is perfect! 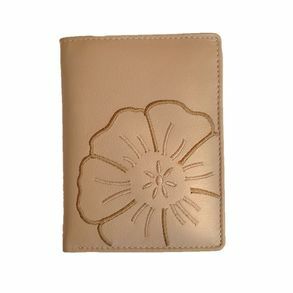 The elegant women’s money holder has got enough space for notes, coins, IDs and cards of all kinds. 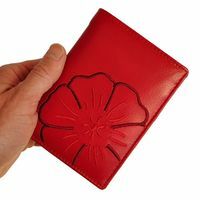 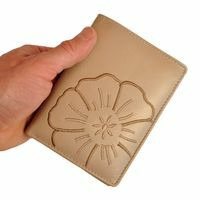 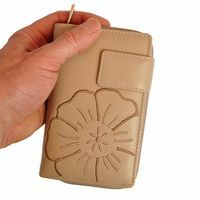 Furthermore, the practical pouch made out of wonderfully soft cow leather with a nice flower appliqué is also a real eye-catcher. 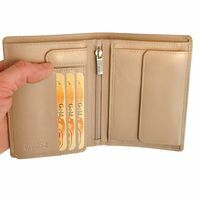 The leather holder has got enough space for all the cards that you always carry around with you nowadays, e.g. 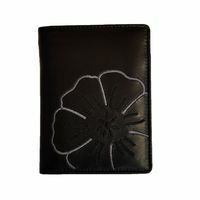 credit cards, debit cards, insurance cards, membership IDs, customer cards, parking permit, business cards, etc. 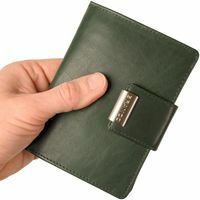 There also are special compartments for driver’s license, vehicle registration and personal ID of the old format (A7) (This statement applies to GERMAN old, large-sized IDs etc.). 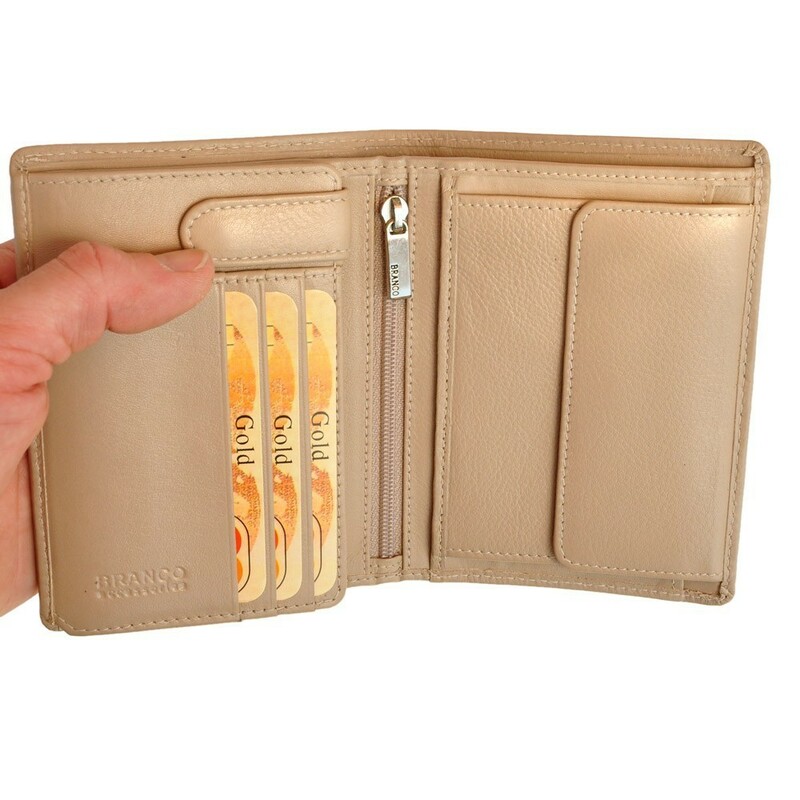 An extra overfold strap with a snap holds together the entire card and ID section, so everything is stowed well. 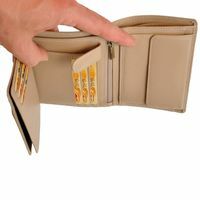 Furthermore, the money pouch has got two compartments for notes, one coin pocket and one larger pocket with zipper. 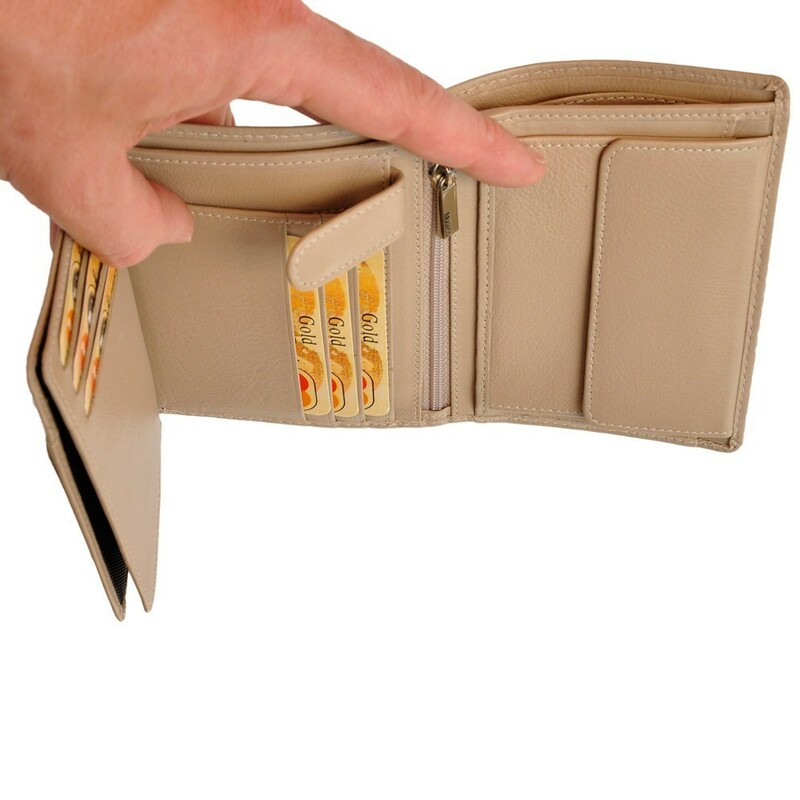 Four additional slip pockets make the offer complete. 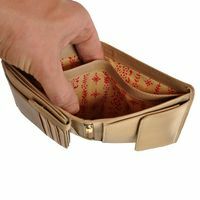 So you really can fit everything in this practical purse in a well-arranged way without having to carry a large briefcase around with you.